Built in 1907,Crisler Manor invites you to experience the grandeur of yesterday with today's modern conveniences. 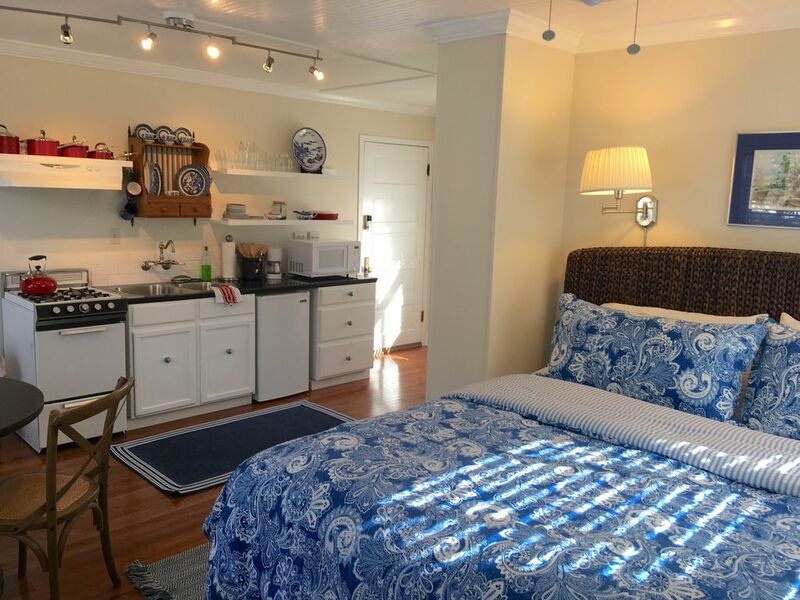 The Carriage House at Crisler Manor is a studio apartment complete with king size bed, kitchenette and bath with walk in shower. Enjoy the spa hot tub and grand porch as well. Conveniently located 2 miles from downtown, 1.5 miles to The Pearl and 8 minutes to the airport, you are in the Heart of Monte Vista, a National Historic neighborhood, fabulous for evening walks to nearby restaurants. Soap, shampoo, conditioner included. Hair blow dryer. Fluffy towels. By request in main house. Street parking in front of main house. Including spa towels for the hot tub. Cozy set up with disposal, coffee maker, tea kettle, pots and pan, dishes, silverware. Drain board for hand washibg of dishes. Additional chairs may be requested. Seven person luxury hot tub for use of Carriage House guests and property owners only. Fabulous neighborhood for walking. Nearby tennis and golf. This small studio is in a great location with easy access to downtown San Antonio and many nice museums. The neighboorhood is brimming with beautiful historic homes and is very pleasant for walking. David and Shirley are very helpful hosts and the property is very clean. Gorgeous neighborhood with turn of the century (the last century) homes among the live oaks. Hosts are friendly and kind. Place clean and adorable. We enjoyed our stay and the proximity of this little house was a short Uber ride away to the Riverwalk and the Alamo. Cozy studio with all the amenities you will need...we would definitely stay here again! This cozy, private studio feels like home, yet is just a short drive from all the sights in and near San Antonio. Shirley & David were super hosts and we would definitely stay here again. Good people! Thanks for all your hospitality! We had a wonderful stay, charming and close to the riverwalk. Loved our stay! Second time to visit the carriage house and it was just as great as the first time. Perfect location!